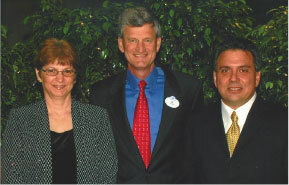 Orlando (FL) – Tom Tedesco, 30 veteran of the bedding and furniture industry has been awarded Disney Company highest award, The Partners In Excellence Award. The award was presented to Tedesco by Al Weiss, President, Worldwide Operations, Walt Disney Parks and Resorts. 1) Cast Excellence, recognizing and appreciating diversity, communicating effectively, modeling Disney heritage, and promoting innovation and change. 2) Guest Satisfaction, delivering magical and memorable experiences for guests, clients and creating Disney magic. 3) Business Results, continuing to enhance Disney’s position as the world’s premier entertainment and hospitality organization including productivity, producing quality work, identifying growth opportunities, and lowering cost effectively. Tedesco is President of Devon Chase & Company, a furniture distributor and a NAUI Course Director for Walt Disney World. The following definitions are the commonly accepted terminology associated with the futon furniture and sofa-bed industry. Decks are the platforms on which the futon rests for both convertible futon sofa-bed frames and stationary platform beds. The seat deck is the deck on which the user sits when a futon sofa-bed is in the sitting position. The back deck is the deck which the user leans back on when a futon sofa-bed is in the sitting position. A convertible futon sofa-bed frame that utilizes three decks. The futon mattress can hang over the back of the frame, be folded under itself on the seat deck, or lay flat as a chaise lounge style seat. The tri-fold allows the futon mattress to fold twice along its usually shorter width. A convertible futon sofa-bed frame that utilizes two decks. The bi-fold allows the futon mattress to fold once along its length. The kicker is usually a small piece of wood or plastic that wedges itself between the seat deck and the back deck so the frame can be returned from a sleeper to a sofa in a simple, fluid motion. Several industry patents have been granted for the kicker. A wall-hugger is a frame that can open to a sofa-bed without moving the base of the frame away from the wall. We categorize wall-huggers by their tolerance. A zero tolerance wall-hugger can be placed directly against the wall and still not touch the wall when converting. Other wall-huggers must be placed a short distance from the wall. These are called two, three, four etc. inch tolerance wall-huggers. Be sure to ask your manufacturer about the tolerance of their wall-hugger. The bi-fold is now the industry standard and the more popular of the two basic styles. The frames are made of wood, metal or a combination of both. The wood choices available include oak, ash, pine, teak, rubber wood and various others. There are numerous finishes available from natural to cherry to antique finishes. 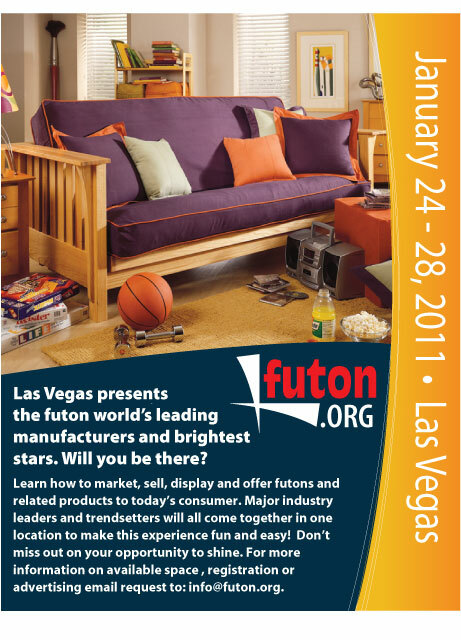 If there is furniture finish you are trying to match there is a futon frame for you. Some frames can even be upholstered in your choice of fabric. The arm designs have the looks and design characteristics found in traditional furniture. Today it is hard to distinguish between the looks of a conventional sofa and a futon. The futon also has a great advantage over its counter part the sofa bed in that the mattress is much more comfortable to sit and sleep on. Futon frames are unfolded from the front or the back. It takes only seconds to convert from a sofa to a bed. FREE-you pay freight only! I have left-over fabric sample racks which hold swatches that have a rod pocket. I no longer am manufacturing covers, and need to get rid of racks! Contact Nancy Taylor at nancy@futondreams.com. There are two major differences between the bi-fold and tri-fold frame types. The first difference is the number of times the futon mattress must fold when converting from the sitting to sleeping position. The tri-fold requires the futon mattress to be folded twice while the bi-fold requires that the mattress fold only once. The second major difference between the two frame designs is that the tri-fold utilizes the shorter “width” of the mattress for seating while the bi-fold utilizes the longer “length”. This gives the inherent advantage to the bi-fold because it looks much more like a conventional sofa-bed than does the tri-fold. It also provides a larger seating area for the consumer.